It’s hard to find the time to fit everything into a busy lifestyle and exercise usually ends up at the very bottom of the to do list. We all know that working out if good for us but hitting the gym can seem like just another chore that needs to get done. There are a few things you can do to make fitting in a workout slightly easier for you. From making sure you've got all the right gym bag essentials to learning how to make the most of your free time, it’s often easier to fit in a workout than you realize. Here is a perfect work out set for your workout. 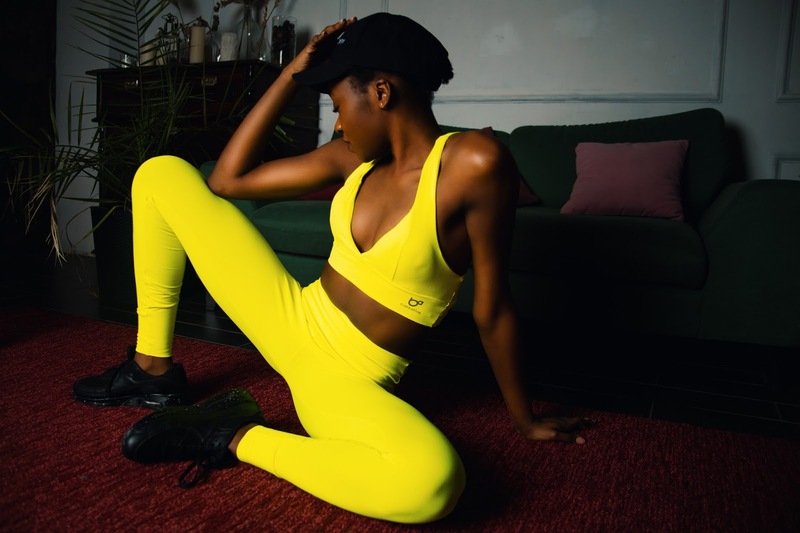 Tights / leggings sports compression for women fits in all kinds of sports, fitness, hall, yoga and running and this Neon yellow top sports. Wearing the wright sportswear is very important. The right sportswear is an absolute must at all times of the year in order to avoid accidents, sports injuries and other health problems. Apart from this, it enhances the performance and well-being of the sportsman and sportswoman and also provides protection in adverse weather conditions. This Set of sports wear by Wax-wear is Not Just Practical but also is made with good materials and feels really nice on my skin. The color is a motivating factor, so bright all I see it the color saying "Keep going". Can You Spare Two And A Half Hours Per Week? The World Health Organization recommendation is that adults should exercise for 150 minutes weekly. Thinking of a straight two and a half hours of exercise is a daunting prospect but if you break it down to five chunks of half an hour, it suddenly seems more achievable. A workout can be something as simple as walking to the shop instead of driving or doing some relaxing yoga before bed. It is good to mix up the intensity of your workouts but exercise doesn't need to leave you completely exhausted for it to be beneficial. Most of us waste time without realizing it. It’s easy to get caught up in the habit of spending hours watching TV or spending an evening playing on our smart phone. There are ways you can find time to workout without having to change your routine too much. It doesn't matter what kind of exercise you do as long as you are active. There are numerous studies that have proven short workouts are just as good as longer workouts. Short, sharp, high-intensity workouts are just as good if not better than hours on the treadmill and cross trainer. There are so many brilliant high intensity interval training workouts available on line for you to complete in the comfort of your own home. These are great for fitting into little chunks of time when you are just waiting around anyway. You can easily fit some squats in while you are watching TV, or some sit ups while you wait for dinner to cook. You can multi-task your way to a healthier, fitter lifestyle with just a few simple changes to your weekly routine. Getting fit doesn’t need to be a chore when you are clever with your time.